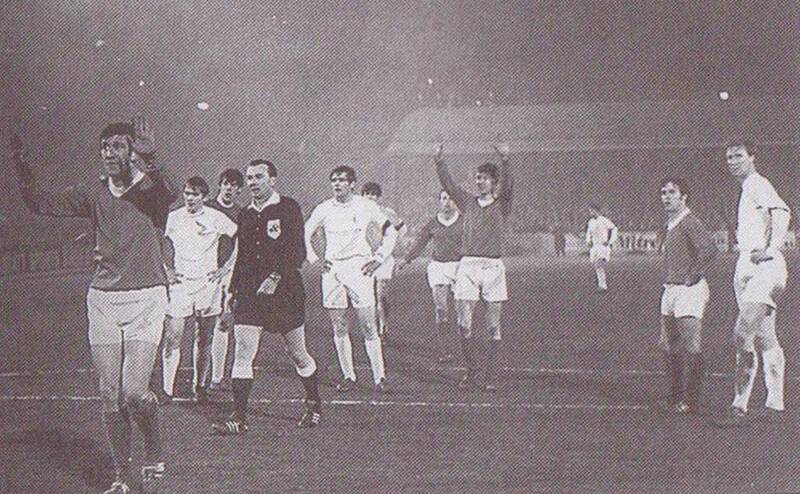 Date: Wednesday, 9th April 1968. 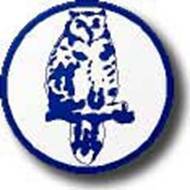 Competition: Inter-Cities Fairs Fourth Round, Second Leg. 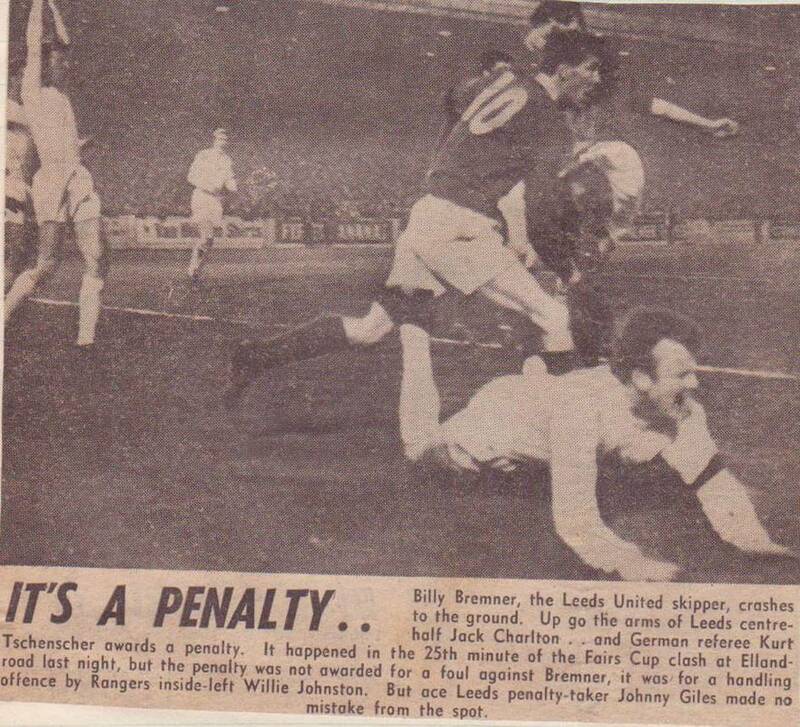 Scorers: Leeds United: Giles (pen), Lorimer. 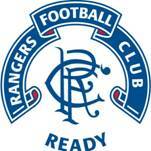 Glasgow Rangers: Nil. 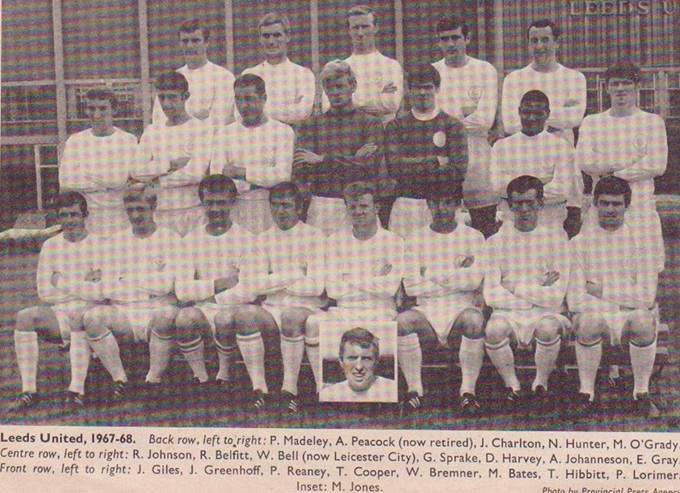 Leeds United: Harvey; Reaney, Cooper; Bremner, Charlton, Hunter; Greenhoff, Madeley, Jones, Giles, Lorimer. 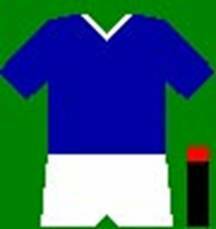 Glasgow Rangers: Sorensen, Johanesen, Mathieson; Greig, McKinnon, D Smith; Henderson, Willoughby (Penman), Ferguson, Johnston, Persson. 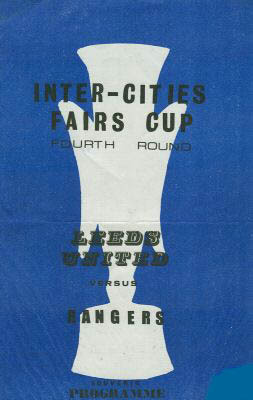 Both teams wore black armbands as a sign of respect after the death of United Chairman Albert Morris and Elland Road was packed with a crowd of over 50,000, not entirely Leeds supporters, but as once again the game was beamed back to the away team’s home ground for the benefit of their supporters, and Rangers had only been allocated 3,000 tickets. 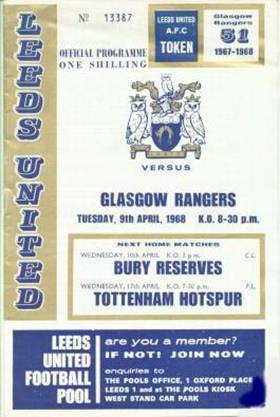 Undeterred the Rangers supporters had actively engaged in buying up tickets supposedly for United supporters and figures as high as 10,000 were bandied about as being the Rangers support on the night at Elland Road. 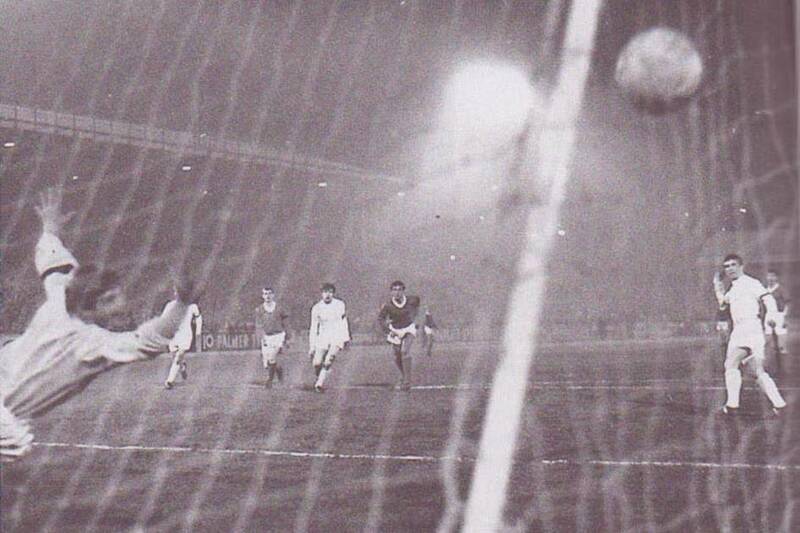 It would be safe to say that there would also have been many thousands packed into Ibrox. Whatever the combined audience was, they surely did get their money’s worth. 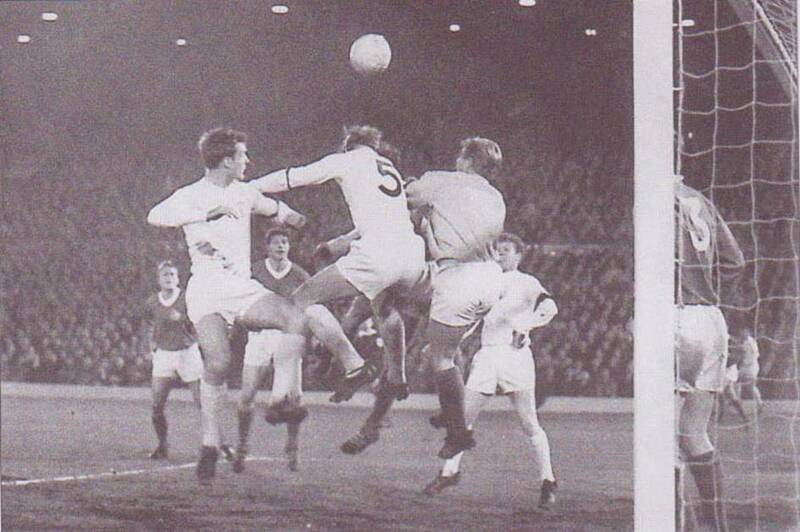 United were without the services of Gary Sprake who was serving a suspension after being sent off in an FA Cup tie against Bristol City and as usual David Harvey deputised, but otherwise Leeds were unchanged from the first encounter, Jimmy Greenhoff having recovered from his ankle injury. Rangers had made just one change with Alex Willoughby replacing Alex Smith at inside right. 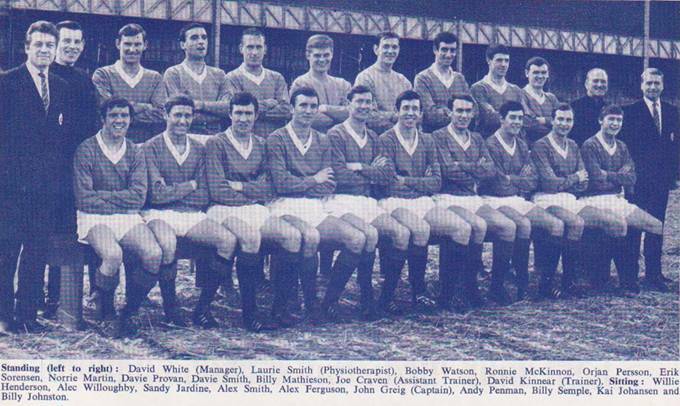 Rangers knew the odds were stacked against them as United were unbeaten at home in fourteen matches and had just set up a club record run of twenty-six games stretching right back to a 2-0 defeat at Liverpool on 9th December 1967. 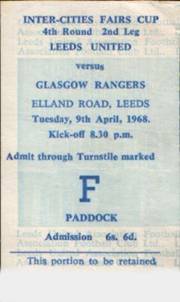 As in the Ibrox tie, Rangers threw everything at Leeds and particularly in the opening phase when they hoped to rock United by scoring. United held them and gradual began to take control of the game. 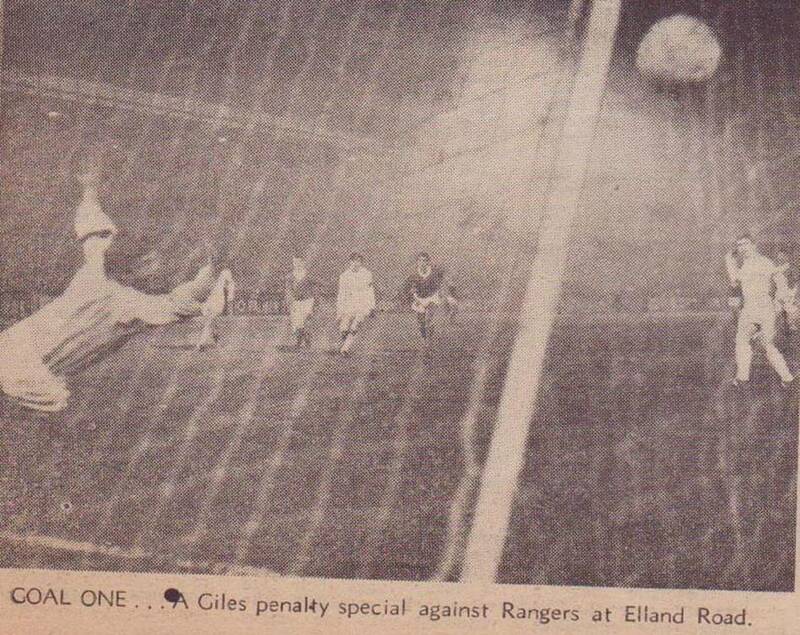 Rangers may have been a little aggrieved that their efforts did not produce a goal, but they could not deny that they were always struggling once Johnny Giles had coolly slotted home a twenty-fifth minute penalty after an handling offence and a push by Alex Ferguson on Billy Bremner and Peter Lorimer had killed off the game six minutes later with Johnny Giles again involved as his free-kick picked out Jimmy Greenhoff whose miscued shot fell kindly for Lorimer to steer the ball home. 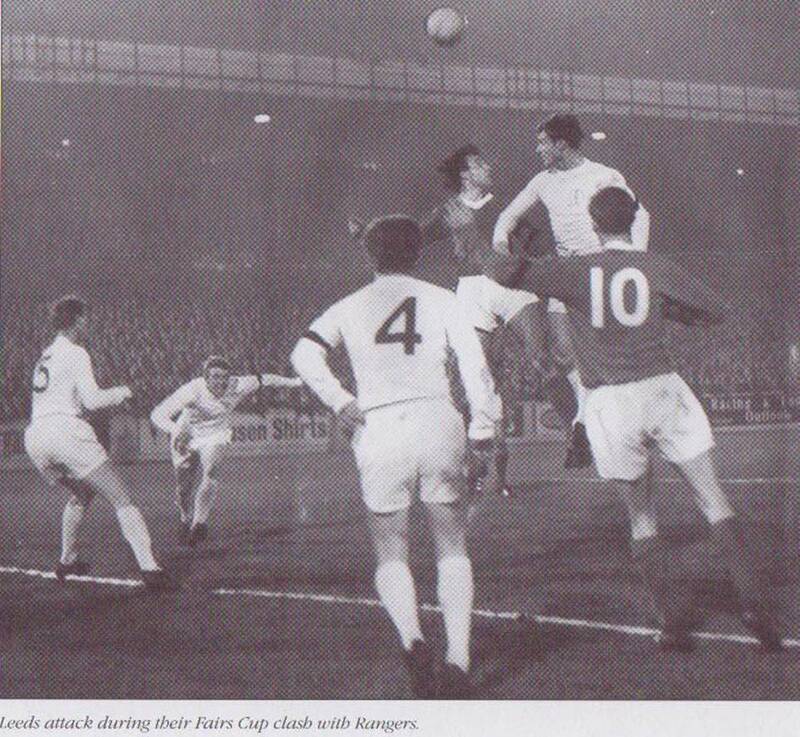 With just one third of the game gone Rangers knew they were a beaten side as they could not cope with United’s speed and non-stop running and a Peter Lorimer shot hit the post and a Jack Charlton backheader grazed the bar as United could easily have doubled their lead. 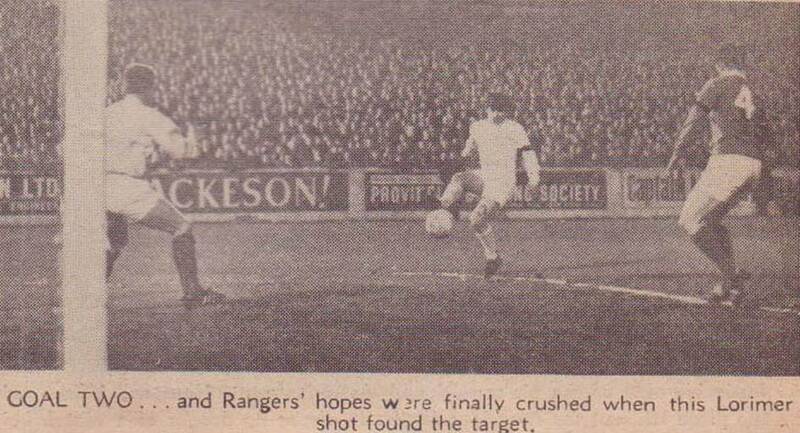 It was all a little too much for the visiting fans to take and the game was marred slightly by those Rangers fans, who had decided to brave the trip to Leeds rather than watch the beam-back in Glasgow, and the Ranger’s Captain, John Grieg, had to plead with the recalcitrant supporters to cease throwing bottles onto the pitch as play was held up. To their shame the Rangers fans caused problems both inside the ground and in the streets of Leeds, with conduct best forgotten, but their attempts to get the game abandoned was unsuccessful. So it was United that won the Battle of Britain and advanced to the semi-final against more tartan opposition in the form of Dundee, while Ferencvaros and Bologna did battle in the other semi-final. 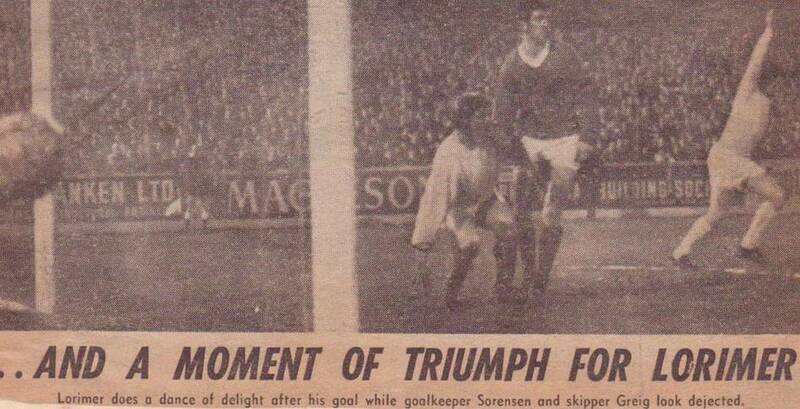 Four days later a Paul Madeley goal was enough to beat Sheffield United in the FA Cup to put United through to the Semi-Finals and the possibility of a remarkable Cup treble.